Not many high school student-athletes are aware of the athletic scholarship opportunities at NAIA colleges. The National Association of Intercollegiate Athletics has been assisting student-athletes since 1937 and serves close to 300 colleges and universities throughout the country. NAIA, like the more notable NCAA, focuses on the tradition that student-athletes are first a student studying to earn a degree and secondly a dedicated athlete who will be passionate about being part of a collegiate team. Is NAIA the right thing for you? If you are an athlete looking to participate in college sports, but aren’t sure if you have what it takes to make it at top level NCAA division I or division II, than NAIA may be the right choice for you. NAIA colleges market the fact that their member institutions are smaller in student-body population; mostly under 10,000 students and have a more personal feel to them. NAIA schools offer its students a number of sponsored teams, if you participate in any of these sports than an NAIA University could be what you are looking for. Recruits who are proactive in their recruiting by activity researching college programs and creating a sports resume will be happy to know that the NAIA recruiting process is less restrictive than those of the NCAA. The NAIA makes it easy for potential recruits to contact college coaches; it even allows student-athletes to send their sports resumes to NAIA coaches while signing up on their online eligibility center. This will open up many opportunities for student-athletes since they will be better able to build relationships with coaches early on in their recruiting process and learn about possible opportunities without having to wait for designated contact periods. The NAIA helps NAIA colleges make sure recruits meet minimum academic standards as well as amateur status. Student-athletes who are sure that they will be attending an NAIA college to play sports will need to register with the NAIA eligibility center. 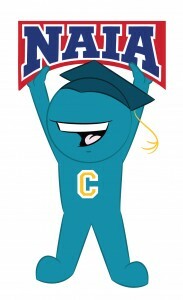 The eligibility center is where the NAIA will compile all of the students’ academic records, ACT or SAT test scores and sports team information in order to endorse the athletes’ eligibility to participate on an NAIA sponsored sport. Meeting NAIA eligibility standards means that athletes will be cleared to participate at the NAIA level; they will still have to meet individual University standards of the college they plan to attend if the school has different minimum requirements. If you have more questions about NAIA colleges and Universities than leave your comment below or connect with us on Facebook or Twitter.